In honour of this most creepy of holidays, here are some spooky-type projects. 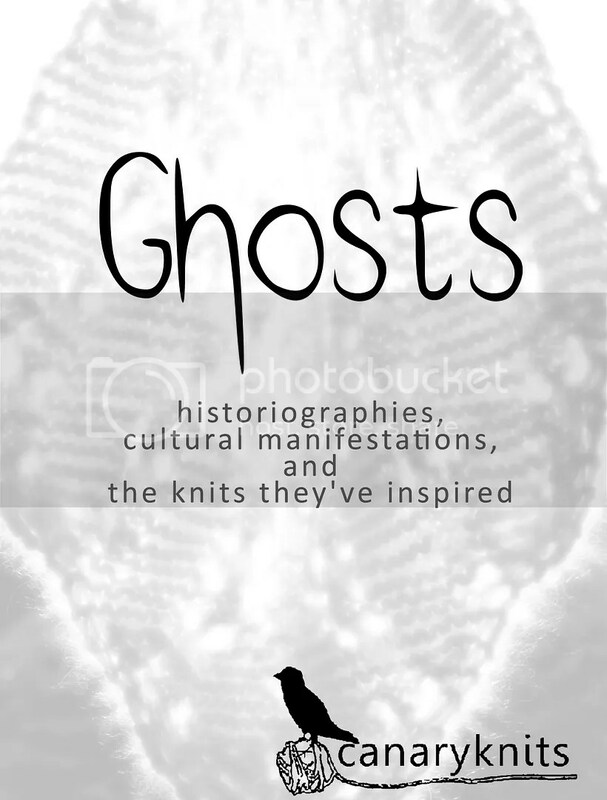 The lovely Teresa Gregorio has recently published an entire book of patterns inspired by ghosts. In addition to the patterns, there are essays exploring how different cultures view the “physical” apparition of a ghost. Definitely planning on this for next year. I know, I know, it may be a little hard to get something knit and blocked by tonight, but you can always get a head start on next year. 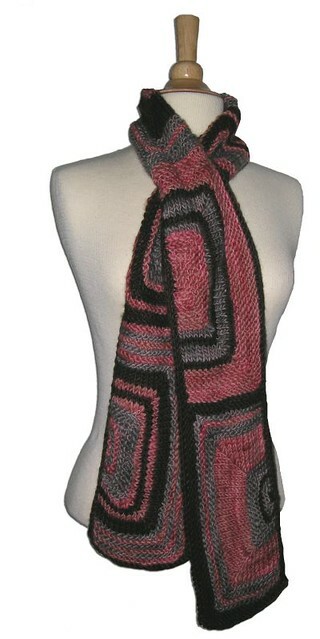 Or you’ll be all set to celebrate Christmas Tim Burton style. 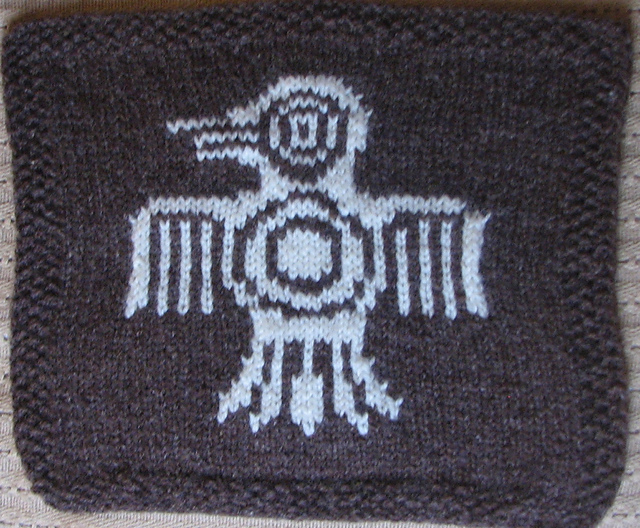 Quetzal Mayan Bird from Erssie Major’s Magickal Throw. Speaking of Christmas, better get cracking on those gifts! 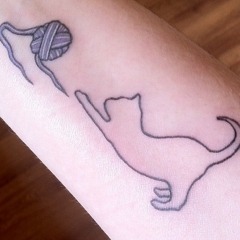 I saw this posted by Knitomatic in my Pinterest feed. Frigging adorable. Look at the wee little candles! For little toddler hands! 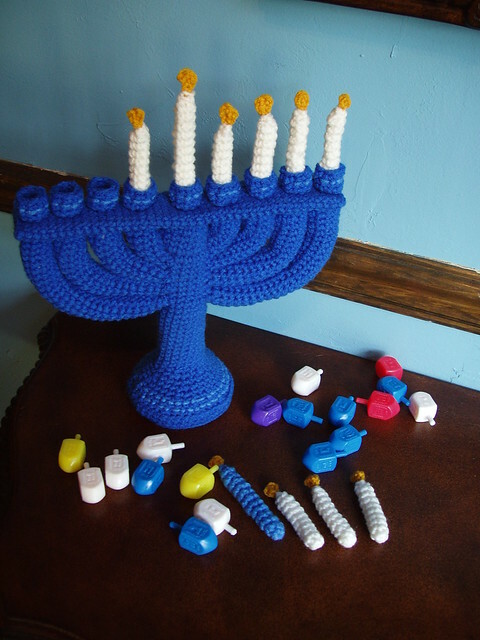 This entry was tagged amigurumi, books, Chanukah, Christmas, costume, crochet, elf, free, ghosts, halloween, Hanukkah, Jack Skellington, knitting, Mayan, menorah, Nightmare Before Christmas, pattern, patterns, pirate, scarf, slippers, throw, toys, tree, Zero the ghost dog. Bookmark the permalink. I love the elf booties and the zero the ghostly dog. Very cute and they both look easy.